Boot camp exercises very often include a mix of drills that include both, strength training and aerobic elements. They may focus on light exercises, while some of them involve martial arts moves as well. Drills, sprints and general calisthenics like pull-ups, pushups, lunges and crunches are a part of more or less all camp exercises, and the core of boot camp workouts is interval training which involves short bursts of intense activity followed by lighter drills. Fitness camps are preferred by people because they provide workouts for entire body and often require no specialized training equipment. This enables us to maintain higher fitness levels and exercise the body comprehensively. The variety of drills that are included in such programs make camp workouts an interesting alternative to other forms of exercise, like spending time in the gym. Such exercises not just offer a more challenging workout and add diversity to our routine, but also inculcate a team spirit among participants. 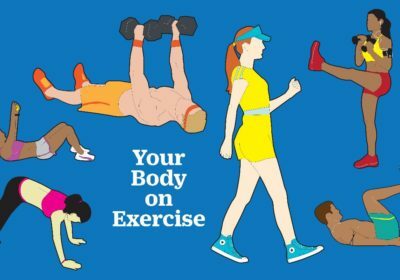 Boot camp exercises are one of the best ways to burn calories fast, wherein we switchover from one exercise to another instantly, without taking any rest or breaks. This not just tests our bodies extensively, but also helps us burn a lot of calories and lets us work out the entire body in a short time span. Camp workouts are fun, because each exercise is different from another. People who lead a busy lifestyle prefer to go for such drills as these workouts do not demand too much time. A boot camp workout can be made to be versatile and one can vary the intensity levels as per his preference, making the exercise as arduous as required. These drills are also preferred because they are a low cost way to get some vivid exercises. Under appertained supervision of an instructor, boot camp fitness workouts can get quick results. In many cases, boot camp fitness classes involve a small group of around ten people, and an outdoor environment like a park. After initial warm-ups, participants could go for exercises which may include interval training, lunges, sprints, core strength training and obstacle courses, followed by cool downs and stretching. A variety of boot camp workouts for fitness training are nowadays available. These include categories for general fitness, women- only fitness, weight loss boot camps and also sport specific boot camps, which may focus on running, soccer, bicycling and ski training. Boot camp drills could involve concepts from mind-body training, and might include constructs from yoga, accompanied by meditation and visualization training. In most cases, one just needs to devote 30-60 minutes, around three times a week for boot camp fitness program, and greatly improve his endurance, strength and flexibility. It is often easy to organize a boot camp workout according to availability equipment and space. One may go for an indoor gym style boot camp, which involves treadmills and dumbbells. Alternately, outdoor boot camps are more cost effective and can involve a large number of people.